Fly your flag | Watts Up With That? As always, I always put up a reminder for Americans to fly your flag on national holidays that are honoring our nation and those who served. Today is no exception. Yes, that’s my electric car in the driveway. 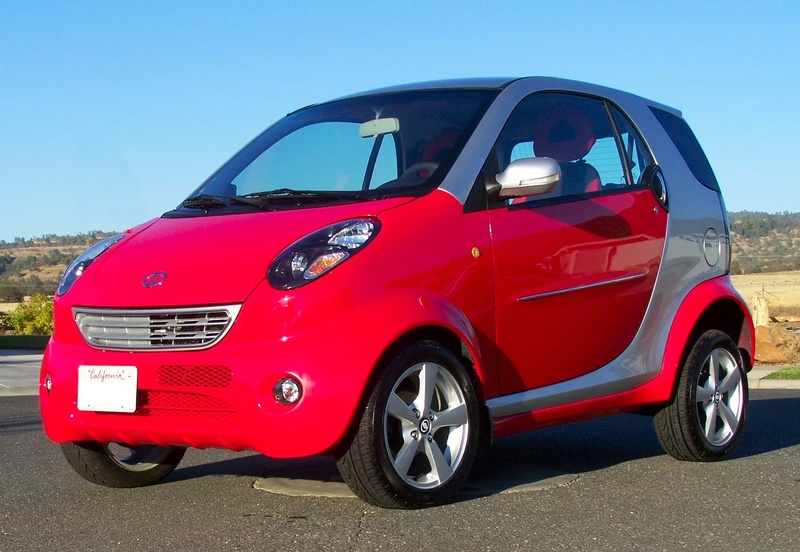 In comments, some folks think the car is ugly or small, it is actually larger than a SmartCar. I’ll let you be the judge. July 4, 2011 in Announcements. At first glance I thought that was a SR 71 Blackbird in the background doing a fly by. Then I realized it was a different kind of bird taking off from your gutter. And might I suggest we pool our resources to buy Anthony the back end of that car? Someone stole the rear end of your car! Look at the long bill on that UFO, hummingbird? So you are happy to live in a police state ? This is the land of the brave and the free. Flying flags and pledging allegiance is one of those things I as a Brit never quite get…. Nice to see some comic relief. Paint the tires blue on the car, add a couple of stars, call it the Patriot or some other catchy name (that one has been used, I think) and sell a million of them. I might even buy one if it can get me to town and back to the country on a single charge. Thanks, Anthony, mods, and all. Flags are up at the end of the lane. Happy Independence Day to Anthony and all our American friends from one of your many readers and admirers here in the UK. Saw 8 of your “birds” flyby me today. The Thunderbirds on their way south after performing at Waddington Airshow over the weekend and what a performance it was! Do you take that thing to a bike shop to get new tires? My vehicular contribution to saving the planet is that my V8 can downgrade to a V4 when not in heavy use. Strangely..they dont give you the option to manually set it which makes no sense. I was once asked by a young American lass, with whom I was on a date one summer’s eve two long decades ago, why we Canadians celebrate the 4th of July three days early. If you are reading this Joelle, I hope you have a great BBQ, even if it is three days late! Happy Fourth of July everyone. I know some of you aren’t Americans, but happy Independence Day anyway. It is my belief that America has been a huge positive force for good in the world, not perfect but clearly a net good. Anthony don’t you feel squashed in that car? If not aren’t you afraid you will be squashed in that car? I’m all for patriotism. In proper doses, it’s healthy. But I feel less and less proud of our once great country. I’m not so sure what we stand for anymore, except perhaps the almighty buck. Between the republicans absurd and transparent stand on refusing to raise taxes on those who can truly afford it, and the democrats laughable attachment to global warming and green jobs, I’m about ready to move to Canada. Flag flying sir, in 104 degree measured ambient (as indictated on 2 different thermo’s here in N central Tejas) and a Happy 4th to all. There’s a video and mp3 circulating giving the detail behind the wording of the US anthem. Seems Key was negotiating a prisoner swap, but then was informed it was moot because the fleet approaching on the horizon was going to level the fort unless it struck its flag. After hours of bombardment, the ragged cloth was still up, and all guns were redirected at the pole itself. By morning, it was still up, albeit somewhat shorter and leaning dangerously. Each time it was blown down, men had held it up by hand. As they were killed, more replaced them. In the morning, it was supported by their piled corpses. All through the night, Key reported the flag’s persistence to the prisoners chained below decks in the British ships, as they prayed non-stop for it not to be struck. It’s their words that start the anthem. I’ve heard Americans deplore the anthem because it’s so militaristic. Unfortunately we in what was once known as Great Britain, but which is already being subsumed by the EUSSR, have no such right. We have to live under a government which is selling us out, day by day. We can see it but we have no power to stop it. Happy Independence Day, America. You have fought for and attained that which mankind has sought since the days of ancient Greece and that is Freedom. Please guard your privilege jealously. We in Europe have forsaken ours. And we are suffering from that loss. The people in the fort were civilian refugees from the fighting, predominantly. It was them supporting the flagpole, not soldiers under orders. Anthony, did you ever get your “Powered by Coal” bumper sticker? @pokerguy Ask yourself this question: Who’s money is it? Now we know why. You can better use it on the golfcourse. Happy 4th July from Joe in the UK. I forgive you for going-it-alone in 1776. As far as the TSA video’s. Make sure next time you step in a voting both you remember what you saw. The people elected are the ones responsible. If so, please expound upon your statement, it leaves me wanting. With coming-soon carbon (dioxide) tax, gasoline will be exempted, but electricity won’t. @ u.k.(us) I’m from the Netherlands and I don’t understand the expression ‘was that snark’ . Could you please explain what it means,so I can give you the right answer on your question. Happy 4th of July folks, hats off to your great country and its wonderful people from Peter in Toronto. All these insults about teensie cars! I have a real SMART, owned for about 8 years. Use it to run about Melbourne (Australia) and fill up about once every 3 months – surely ‘greener’ than an electric car!!! I am surprised that people favouring electric cars forget about the lifecycle: production of electricity and batteries, battery disposal etc. Happy Fourth of July. Nice Car!! It’s only a matter of time before the energy storage density goes up to a point where 300 miles between recharges becomes possible. 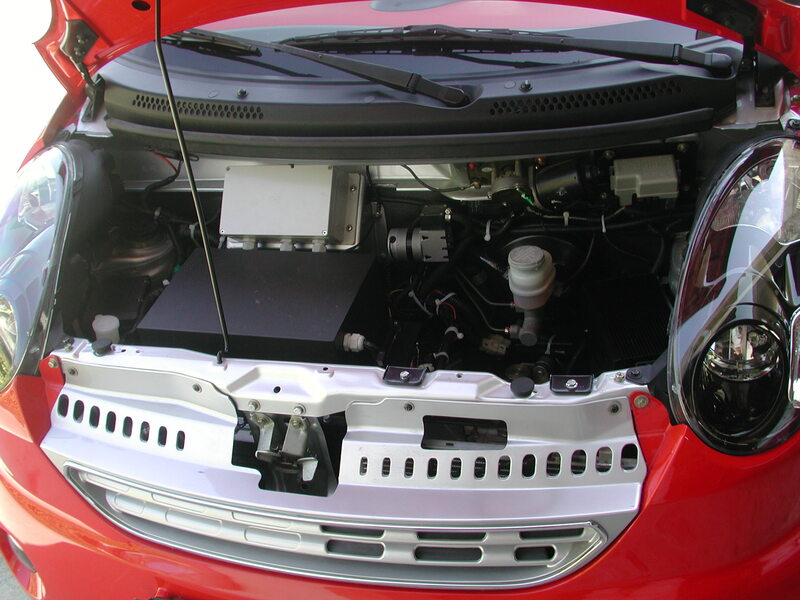 I’d expect to see a big aftermarket refitting these new batteries to old cars, because what else is going to wear out? In the meantime we need pioneers like your good self. Do I see two cars being recharged? OK, so what percentage of total Federal income tax SHOULD each of the following groups pay? What-in your estimation- is a FAIR percentage? YOU give me a number for each and I will tell you what the number is as of 2008 (last year for which the IRS published the data). You imply that the rich should pay more, well how much SHOULD they pay? You tell me-a percentage that YOU would deem FAIR! Better than Canada I would suggest Cuba. With Canada becoming more conservative than the US, I believe that you would be happier in Castro’s Socialist Workers Paridise. Bon Voyage! I thought golf buggies were supposed to be white? Yep. You kids have done pretty well for your selves since you flew the nest. The ancestors are proud of you. further re your foolishness, it transpires that REGARDLESS of the nominal top rates, etc., about 19.5% of GDP ends up in federal hands. What happens is that disclosure and productivity expand with lower rates to keep it that high, and shrink to keep it that low with higher rates. I read your comment as a slight on Anthony’s choice of vehicle. I’m from Chicago, and do the best I can. … It’s only a matter of time before the energy storage density goes up to a point where 300 miles between recharges becomes possible. I’d expect to see a big aftermarket refitting these new batteries to old cars, because what else is going to wear out? In the meantime we need pioneers like your good self. Range choices: 160, 230, 300 mi. Highest range being produced and delivered first. With developments at MIT and Stanford, etc., energy densities may be increased soon by up to 10X from that level, with modest changes in manufacturing processes. BTW “full life cycle” snarkers, ~98% of lithium is recycled, and about 70% of the rest of the battery structure and chemicals. The entire “long tailpipe” argument is bushwah. Brits et al: “snark” is snotty sarcasm, snideness. From Snark, coined by Lewis Carroll as a nonce word in 1874 The Hunting of the Snark, about the quest for an elusive creature. In sense of “a type of mathematical graph”, named as such in 1976 by Martin Gardner for their elusiveness. (mathematics) A graph in which every node has three branches, and the edges cannot be coloured in fewer than four colours without two edges of the same colour meeting at a point. (physics) A fluke or unrepeatable result or detection in an experiment. Cabrera’s Valentine’s Day monopole detection or some extremely energetic cosmic rays could be examples of snarks. The 160, 230, 300 numbers are conservative according to insider testing buzz. In normal driving patterns using the alpha testers, they’re getting about 10-15% more than that. I will keep my 2008 Vette (6.2 liter engine) and my 2010 Ford (5.4 liter) 4×4, thank you very much. Use to have a SMART it was awesome for getting around in the city. Parking was great but finding the car back in-between all the SUV’s was a challenge at times. Lost items like USB drives can be found back in minutes and scraping ice from the windshield was easy without a hud getting in the way. Good presentation at ICCC watched it on the live stream. Brian H, The Tesla numbers look good but as with the Leaf and Volt, using A/C or heating will drasticly reduce those mileage numbers. Happy 4th from Perth, Western Australia. The nearest large (>20,000 population) town is 200km from here – whats the range on that cute little car and how do you reckon it would go overtaking a triple road train? Is it realistic to assume that outlays should just keep going up and up year after year? Is it reasonable to assume that GDP and tax receipts will keep going up year after year? We don’t have a revenue problem, we have a spending problem. It looks like a Johnny Cab. @ u.k.(us) Anthony’s choice of vehicle. T.SS.A control. also something to recover from . I hope he had to recover from the car trip. Exactly. They don’t hang about either, would not like to “passed” by one of them in summat I could not overtake in. The number of drivers I see driving in a lane parallel to a “Semi” or “B-Double” or one of the tripple trailer road trains with ZERO intent to pass I cringe. In certain conditions these things can create a draft which could draw your car under them. Also, depending on “box/container” type loads, can easily topple in certain wind conditions. My son had one of those cars when he was little, but I wouldn’t let him take it out of the driveway. A bit late on this… Yesterday, Tyler Ferrar became the first American to win a stage in the Tour de France on the 4th of July. That should read Tyler FARRAR, of course. Anthony, Please get a safe car!!! That thing is a death trap. As they say you never see it coming. The TSA is an embarrasment, we’re working on that. I find is so amusing that all the Leftists that reamed out Bush for 8 years don’t make a peep now that real authoritarian wanna be is in the Oval Office. More of everything you hated about Bush, plus sexual assault and child molestation! USA isn’t perfect, but I don’t think I’d want to be anywhere else. We need to roll back the authoritarian, nanny-state agenda, I think we can do it. Under what moral right does anyone get to decide “who can truly afford it”? Looking in another man’s wallet is practicing envy and violates one of the commandments “thou shalt not covet”. How does that little rollerskate of a car do in snow, frost heaves, and pot holes? 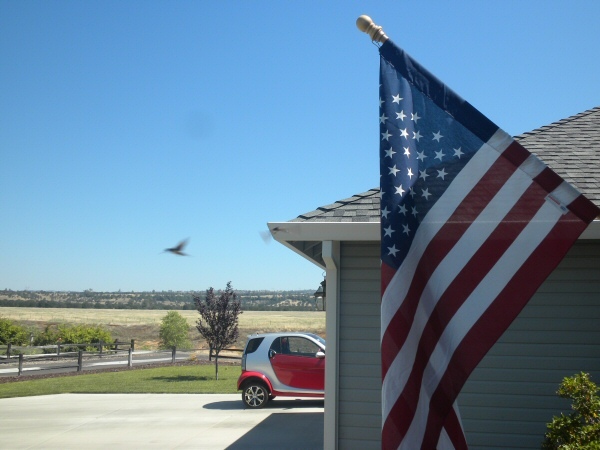 Kidding aside, I hope everyone had a great Independence day and I’m glad we live in a country where, for the time being, car choices are still a matter of personal preference and not legislative decree. I don’t see the appeal of the “roller-skate” car, but if it suits Anthony’s lifestyle and tastes that’s his business. The question was: How much should each group (percentile of taxpayers) pay in taxes for Pokerguy to think that they had paid enough? How much would be “fair”? So, for the rest of you who might like to know the numbers, here are the percentages of Federal income tax paid by each of the following groups. And, yes, you read it correctly: The top ten percent paid 70% of all Federal income tax. And, you will note that the table lists only the top 50%. That’s because the bottom 50% paid only 2.7%. Their contribution is trivial. The people who tell you what to think LIED TO YOU by omission! They didn’t tell you what the numbers are deliberately because you are too simple to understand. You might question the entire Donk Agenda. 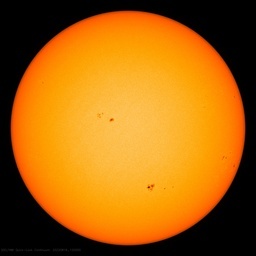 Just like the AGW hoax. Or, perhaps they are ignorant and too lazy to figure out the truth. These people who tell you what to think. Are they just lazy and stupid? Or, are they evil? These people have used you badly. (My sailor friends would understand if I said that they had done improbable and loathsome things to you with a marlinspike!) Why would you ever trust them again? About anything? And why would you encourage them by buying their product (printed matter)? One of the great lines of the Declaration. And some did just this. Several signatories died and several who survided lost all, families and fortune. All however held onto thier honor which had no price. yes, for a non-American its a difficult concept to follow. Until I have been living here for a while I didn’t understand it either. In a nutshell, the country (USA) is defined by its Constitution. It owes nothing to its head of state, or any other politician. They fought a war to get rid of the idea of owing allegiance to any person (King), and were not about to put another person (President) in that place. The idea of pledging allegiance to the constitution dosn’t really have much appeal. Its a piece of paper, although the words on that paper represent much more, and there is only one. The flag, on the other hand makes a very good symbol of the country. The pledge of allegiance is to the flag, but more so to that which it stands for: “I pledge allegiance to my Flag, and to the Republic for which it stands…”. For an American, the flag *is* the country. That is why they get so annoyed when people burn the flag. Its not just disrespect for a symbol, its disrespect or the whole country and its people. The UK armed forces pledge allegiance to the Queen (or King, as appropriate), in the US, it is not to the President, its to the country, through its embodiment in the flag. (No idea what the German armed forces pledge allegiance to ….). No. I think he meant what it costs on level ground without peddling, without a tailwind, and after you used up your meager California lifeline allowance of monthly kilowatt hours and the higher price for juice kicks in. I believe you’re in the process of discovering that formation of a lasting union involves a lot more than establishing a common currency. Common language, values, and culture are also necessary. Our flag respresents all those things. Unfortunately we are also in the process of discovering what’s necessary for the union to endure as an increasing number of poor thinkers too distant in time and space from the founding fathers and their hard won ideals to appreciate these things. It’s becoming everybody should do their own thing and ignore the glues which actually bind a union. Very sad. Let me reverse engineer that a bit. Call it a sanity check. I’m going to realistically assume that your normal home electrical usage consumes your tier one and tier two allotment so the electric vehicle is powered is effectively powered at tier three rate of approximately $0.20/kwh. I think this is true, or possibly conservative, as I seem to recall Anthony complaining that he was paying something like $0.40 for top marginal bracket and he was reaching that into that bracket. So lets the vehicle is travelling at 60mph/hour for one hour. At $0.20/kwh and 5 pennies to the mile that means the vehicle is using $3.00 worth of electricity in that hour or 15 kilowatt hours. 15 kilowatts is equal to 30 horsepower. Is it realistic for a small enclosed 4-wheel passenger vehicle to maintain 60mph on dry level road with 30 horsepower? YES it is! Rule of thumb is it takes about 24 horsepower to overcome air resistance in a medium size passenger car at 60 mph. Sanity check complete and passed. It might not work out so well if your residential electric usage sans electric vehicle already pushes you into tier 4 marginal rate and it won’t hold true for long as California electric rates rise a projected 7-10% annually but for now it appears to be a rather economical mode of transportation if short range and limited passenger/cargo space aren’t deal breakers. But I’m not going to be trading in my Accord for an electric vehicle at least until there are 24-hour charging stations always guaranteed to be well within battery range of each other all over the country. I already have two personal vehicles, a 4WD diesel pickup truck for hauling large loads and/or poor traction situations and a Honda Accord for everything else. Everything else includes some cross country driving that makes an electric vehicle impractical and the operating cost savings for everyday driving isn’t enough to justify owning and insuring yet another vehicle. Oh I’m sorry. It’s a little more iffy than that. My watts to horsepower calculation was wrong. That’s what I get for doing it in my head. Anthony is effectively claiming that his vehicle can sustain 60mph on 20 horsepower. That’s a bit on the low side of believable for that vehicle. 30HP was credible but 20 is stretching it. I don’t think he’s basing that on tier 3 electric rates in California. Tier two maybe. Loose flow’d her tresses; rent her azure robe. She tore the laurel, and she tore the bay. Nor ceas’d her sobs to murmur to the main. No mean submission, but commanded peace. Ah, how with indignation must they burn? The Country claims our active Aid. Of Public Virtue, blow it into Flame. But the rough cadence of the dashing wave. But even now, after two world wars, Britannia persists. So, I try to always, in celebrating, to remember the strength of the founders and to never forget from whom we inherited our ideals. Also be glad people have only joked your car is missing a backside. They could have said it looks like one. In 1974 I had a whopping $2400 saved up, and wanted a new car. Back then a new VW bug was $2800, and a Fiat was $2650. A little-known Japanese company named Toyota had a car called a Corolla, with a 1600 cc engine, but even that was $2600. However there was one Corolla with a tiny, 1200 cc engine, and I bought it because it was only $2350. 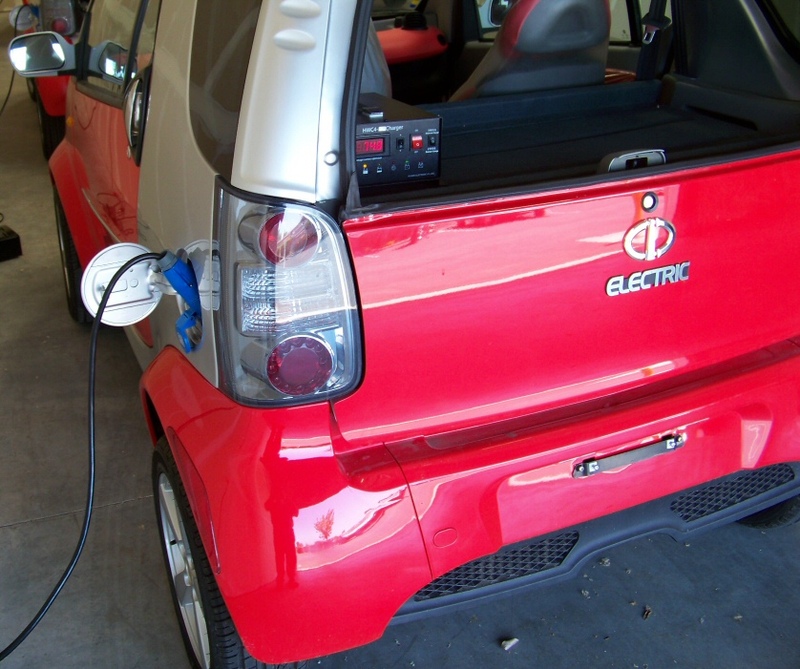 Electric cars, are like what Ghandi said about Christianity – or was if SDemocracy? – a good idea if anybody actually did it. Here in Australia we don’t fly our flag all over the place, because we don’t believe that ours is the most important country in the world. If I had to choose one that was, I’d say China. Journalist: Mr. Gandhi, what do you think of western civilization? Mahatma Gandhi: I think it would be a very good idea! Well, each to his own. But I’ve lived a long time, done a lot of things, and known a lot of people from a lot of places. Most assuredly, those who have little respect for their country have little respect for themselves and those around them. Maybe it’s wrong to feel so, but I’m always a little embarrassed for them. And I always hope that everyone lives long enough and becomes concerned enough to evaluate their preconceptions against the real world. Its not as simple as that Dave. In the UK, Australia and I think New Zealand to a certain extent too there has been an amount of pressure from “authorities” to prevent/restrict people from flying the national flag. This is so that say British people in the UK won’t upset a migrant or 2nd/3rd generation migrant family who is/was from Iraq etc for example. ummm.. of course my kids would be asking where they could play in a yard that size (we have 540 acres) and I dont quite know about fitting two adults and 7 kids into that small a car. I don’t think it would handle a load of weekly groceries for our family and definately wouldn’t be able to haul the hay or any cows around. But then again, I am truly happy that most people in the world prefer the city, it gives me more room and privacy. To each their own… and of course up here in the north, we are waiting for global warming to give us a longer growing season and more frost-free days, we got a frost on July 3rd this year. Unfortunately, I know we won’t get what we want. Cheers! Happy Independence Day (belatedly) to all Americans. I think I understand how you feel about your country. I am a Kiwi, and the last time I flew in over the Kaipara harbour heading into Auckland’s Mangere International airport from the UK, the sight of that great muddy harbour and the blue sea outside the heads and the green hills of home surrounding the harbour made my eyes tear up. Like most Kiwis, I’m not much for flags and patriotic speeches but I know my country and much of its history and I love it, warts and all. Looks like a Smart car which is Mercedes Benz ie German, so not very patriotic Anthony! Electric cars are NOT carbon neutral. Their batteries are very polluting when replaced, very costly and need fossil fuels to charge them. The charging cycle is yet another stage in an efficiency sapping set of stages to put power on the road.